A Level 3 bullet resistant door panel does not have to look like battle armor. 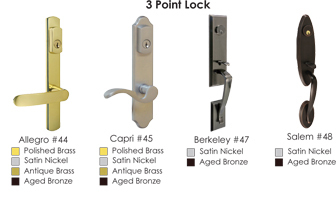 Our bullet resistant door panels are available in steel or fiberglass and can be painted or stained. No one but you will know that the door is bullet resistant. 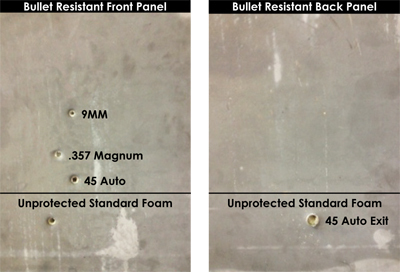 These door panels are rated: NIJ-STD-0108.01 Level IIIA Bullet Resistant; and ANSI/UL-752 Level 3 Bullet Resistant. This combined with our 3 point mortise lock and hinge side ArmorMax™ jamb make our bullet resistant door panels the most secure residential doors on the market.